Tim Wesson brought his special brand of silly to the February issue of High Five magazine. 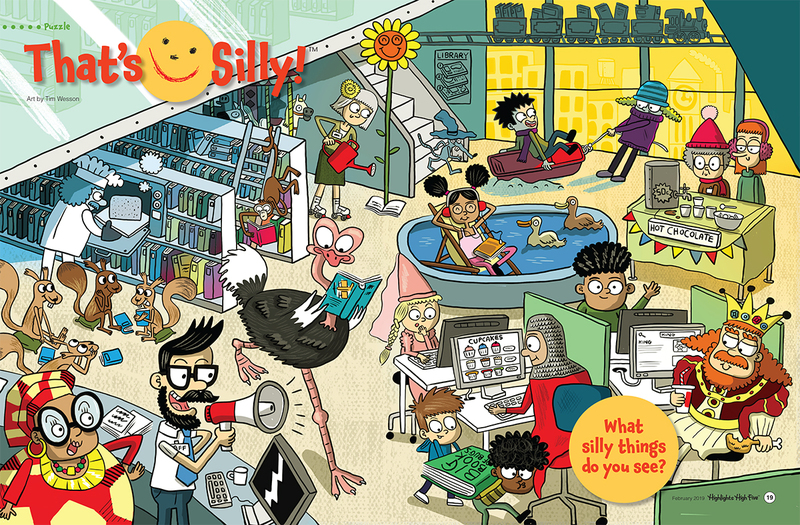 Tim’s hilarious library spread is full of crazy antics; his fun style is just perfect for entertaining young readers. 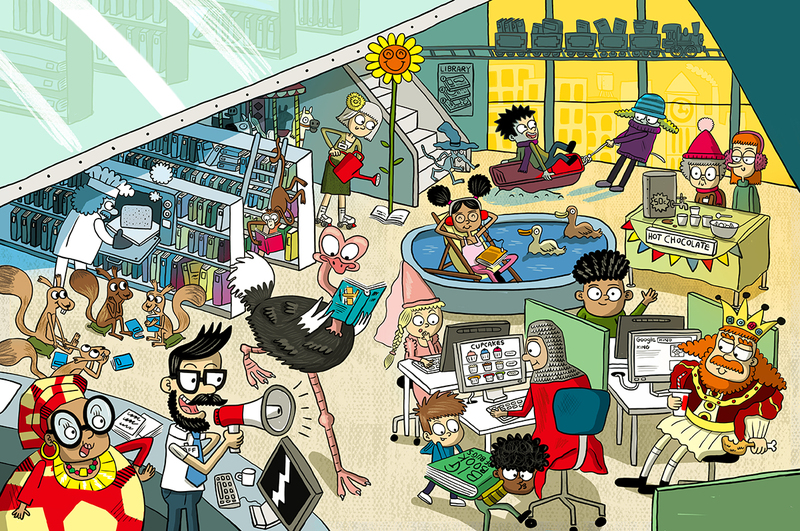 To see more of Tim’s work, click here. Tim Wesson is represented by Kids Corner. Published on 24 January 2019.